Delaware Pathways ensures all youth have the opportunity to fulfill their educational goals and career aspirations. Career pathways begin with Career and Technical Education programs and through to adult education and occupational training. Classes are administered by partnering school systems, state agencies, institutions of higher education, and other service providers. Delaware Pathways also matches to the state’s job needs, including fourteen in-demand industries like biomedical sciences, Cisco networking, engineering, and more. This collaborative effort connects K-12 public education and higher education with state and regional employment needs. This results in students who feel confident and prepared for the future, schools that have resources and connections to help students succeed, and local employers who have a talented pool of homegrown job applicants. From just 27 students in 2014 to over 12,000 in 2018, Delaware Pathways is seen as a national exemplar. 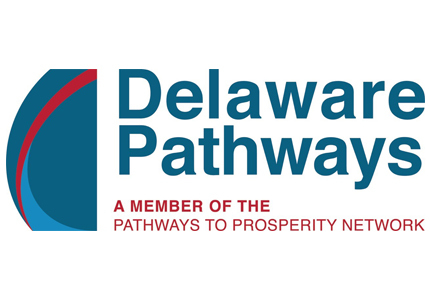 Rodel provided the initial financial investment in the Pathways to Prosperity Network in 2014 and continues to actively partner in Delaware Pathways initiatives.